PT PANN Multi Finance (Persero) - PT PANN (Persero) or widely known as PANNMF is a well-established state-owned financial services company in Indonesia with core business competencies in financing services for shipping industry. Its services include Financial Lease, Factoring and other services (Vessel Monitoring System, Planned Maintenance System, Fuel Monitoring System). PT PANN (Persero) was first established in 1974 by the Government of Indonesia and initially registered as PT Pengembangan Armada Niaga Nasional (Persero) with the aim to develop maritime industry in Indonesia. 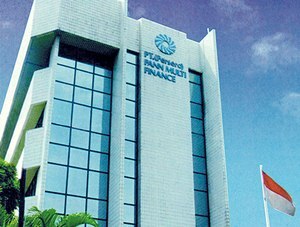 In 2004, PT Pengembangan Armada Niaga Nasional (Persero) renamed to PT PANN Multi Finance (Persero). PT PANN (Persero) is a non listed state owned company and its shares are majority owned by the Government of the Republic of Indonesia. According to the Company's profile as cited by JobsCDC.com, the Government of the Republic of Indonesia holds 93% ownership of the Company’s shares and 7% remaining shares by state-owned lender PT Bank Mandiri (Persero) Tbk. PT PANN (Persero) is based in Jakarta and its head office is registered at Gedung PT PANN Lt 4 - Jl Cikini IV No 11 Jakarta Pusat 10330. Minimum Associate Degree (D3) majoring in Accounting from a leading state university with minimum GPA of 3.00. Operating knowledge of Accounting System/Software. JobsCDC.com now available on android device. Download now on Google Play here. Please be aware of recruitment fraud. The entire stage of this selection process is free of charge. PT PANN Multi Finance (Persero) - Recruitment D3 Accounting Staff PANN May 2017 will never ask for fees or upfront payments for any purposes during the recruitment process such as transportation and accommodation.